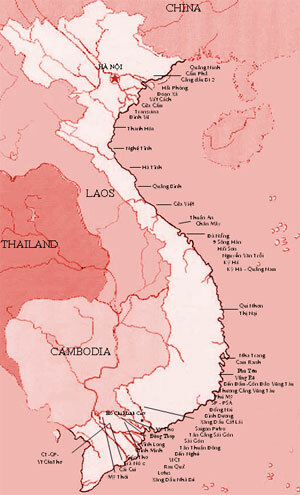 There are several options transferring from the airport to Hanoi. The cheapest will be public bus (usually reserved for locals) at price about 50 cents. However, buses are not safe and take a lot of travel time (about 1.5 hours or more). The bus station is 2km from the Sword Lake then you have to a taxi to your hotel. 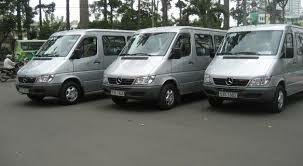 You can choose traveling by shuttle bus from the airport to Hanoi at rate of $5/person. Vehicles used for shuttle bus mainly Hiace van, quite old and crowded. However, it takes not much time to travel (about 1hour) and eventually stops near the Sword Lake (about 15 minutes walking). 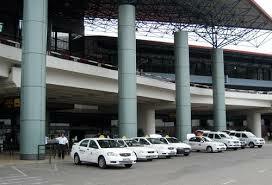 Besides, there are taxi services in Noi Bai airport, such as Noi Bai Airport taxi, Viet Thanh taxi at rate of $18/sedan. Taxi normally is old and not cleans enough. If you are not sure the name and address of your hotel, drivers sometimes put you in other hotel that they are working with for commission. For peace of mind, private car service can be the best choice for Hanoi airport transfer with wide ranges of selection from executive to luxury standard. You will be greeted by friendly, polite driver as soon as entering arrival hall, helping with your luggage, quality car, and support service. You just enjoy comfortable, safe driving in with tissue and bottled mineral water availability. 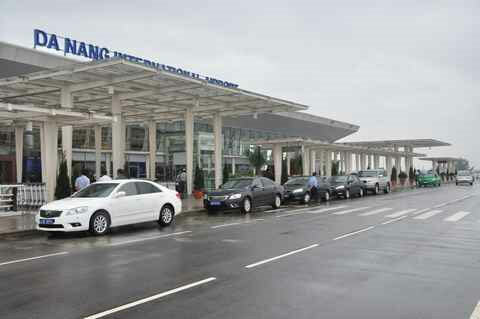 How far Noi Bai International Airport to Hanoi City ? Distance: 35 kms, Duration: 40 mins, Price from 18.00 USD. Transfer from Hanoi airport(HAN) to Hanoi center 18.00 USD. Transfer your hotel in Hanoi city to Noi Bai airport in Hanoi city 16.00 USD. Hanoi airport(HAN) to Halong bay 78.00 USD. Hoi An to Da Nang airport 17.00 USD. Ho Chi Minh airport (SGN) to Ho Chi Minh city 20.00 USD. Nha Trang Airport(NHA) to Nha Trang city 19.00 USD. 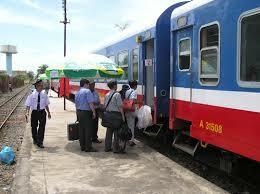 Hue airport (HUI) to Hue city 15.00 USD. Ho Chi Minh city to Mui Ne 115.00 USD. Ho Chi Minh city to Vung Tau city 90.00 USD. When travelling abroad, the most difficult moment is from airport to hotel in town. Arriving at airport and from the moment you step off the baggage claim area, you will see a sea of faces waving name boards, claiming to offer the best price for a ride into town. But how does a first time visitor know what is a fair rate and where they will take you to? That why we offer airport transport service that will not only give the best deal in terms of service and price from the Airport to Town but also to major resorts with ultimate peace of mind. Driver will hold your name on the card. If you book the transfer from Noi Bai Airport, driver will wait at Arrivals Hall. Driver will wait up to 60 minutes after the time you select. If you don't show up within this time, service will be not refundable. If you change/cancel up to 2 days in advance, you will pay 10 USD change/cancellation fee. If you change/cancel later than 2 days in advance, you will pay 100% change/cancellation fee. Step 1: Select “Car Pick-up Service” as an extra service when making the online visa application, and note down your exact flight number. If your flight is changed, kindly let us know at least 2 working days before your landing date (except Saturday, Sunday and national holidays). Step 2: Upon arrival at Vietnam airport, after check-in, please find the Driver with the “Welcome Board” with your name on it. If it’s hard to find, call us right away at our hotline +84 962 655 556 or +84 966 56 99 56 so that we will inform him about where you are on the spot. That is it! Then wish you a good drive to your hotel and a nice time in Vietnam! If you have any further queries, or any problem at the airport, please kindly contact our Customer-Care Center, our staff is willing to assist at best.